Sometimes, missing a fish is as much fun as catching one, at least that is if you still manage to hook a few in the process. And so it turned out to be as Caveman and I set out down the river to try a few different things out. For me, I wanted to catch fish, so I stuck to the tried and true flies this time of the year – small [ size 16 ] stimulators, pmx’s and caddis. Caveman adopted the opposite approach. He has spent enough days guiding on the river being tormented by fish that he decided to torment them back – by throwing a huge rubber legged dry fly pattern. The results were hilarious, at least if you are, like me, a socially challenged fishing geek – plenty of lookers, wtf’ers, a few fish that took one look and ran away to hide, and several that plucked up the courage and had a go at it. We floated from Salida East to Rincon on a river that couldn’t look more perfect if it tried. Finally, after the protracted water releases and runoff, the level has dropped and stabilized, the clarity is great, and the fish are hungry. More than at any other time of the year, the fish have a plethora of bug life to choose from. Yellow Sallies are probably the most prolific hatchers right now, closely followed by PMDs, caddis and golden stones. The net result is that pretty much any dry fly will work, provided it is cast tight to the bank. At one point we pulled over to the side of the river for a refreshment break, and watched a caddis float down the opposite side of the river, about two and a half feet off the bank. “It’s OK little fella, you’re safe, there’s no fish live that far out” said Cave sarcastically. As if on cue, the caddis started swimming for the shore. “No, don’t go there, its not safe” we both yelled, and sure enough, just as it reached for a rock along the bank – slurp – it was nailed by a fish. So the lesson is: cast to the bank – two feet off it is about eighteen inches too far out. Bead head nymphs have been working very well also, but this time of the year I find it really hard to tie one on unless I really need to. There is something extra fun, to me anyway, about throwing a single dry. You are putting all your eggs into one basket so to speak, hunting for that fish tucked in hard along the edge. 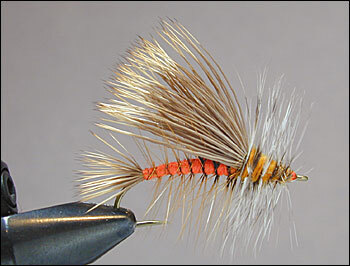 The advantage of one fly is that you can really tuck it into the nooks and crannies in a way you can’t with two flies, especially if one of them is a bead head. So cast along the edges and the slow water. Fish will be holding in any little pocket along the bank, in some places stacked up like cord wood. Take a break during the heat of the day, especially when there is no cloud cover, as the fish will often lay low during this time. But above all, take a sense of humor, a couple of buddies, and a cold brew or two. Note: for the full splendor of the audio visual experience, please follow the links where indicated. 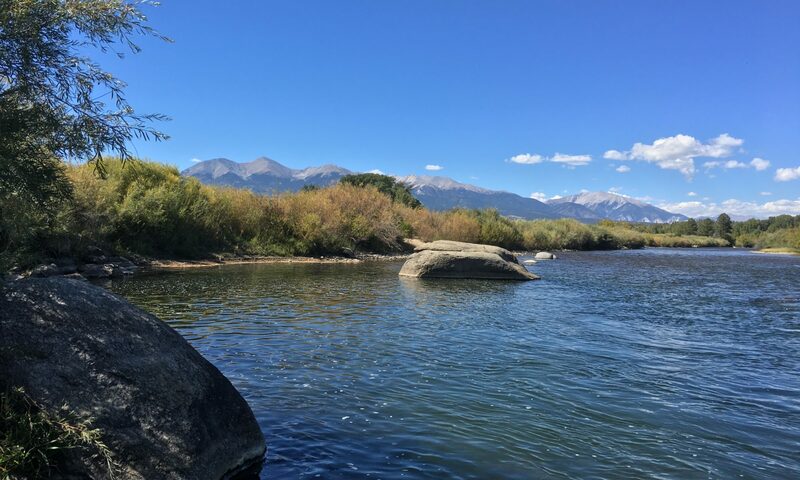 With the Arkansas River continuing it’s late season peak, it’s time for a fisherman to start getting creative about when and where to fish. For sure, once the river clears and drops, the fishing will be on fire. There are going to be hungry fish and lots of food flying and swimming around for them to eat. In the meantime, I headed off to Antero Reservoir the other day with a six weight rod and some salubrious company to chase after a few lunkers. After having had fun last week catching joeys in a small stream environment, it was time to enjoy the other end of the scale, with screaming reels, rods bent in half, and line backing seeing the light of day for the first time in a month of Sundays. Antero is one of the jewels in the Colorado Division of Wildlife’s fishing crown. Back in 2002 it was drained completely during the drought year, but a succession of decent winter snow falls have seen the reservoir refilled and opened again to fishing a few years back. It must be said that flat water fishing is not my preferred style. Generally there is too much sitting around with nothing to do except doze, hydrate with barley pops, and let the mind wander onto important things. Should I really have gone to the office today? What would have happened if I’d had the cojones to ask that girl out in high school? Jeez, maybe the old man was right and I shouldn’t have dropped out of college. Then, all of a sudden, the bobber gives a little nudge, you set the hook, and putting all such futile musings aside, it’s game on. There is no doubt Antero is a great place to go to tie into a big one. There is also no doubt it is not the place to go for those seeking solitude and serenity. But the fishing is great right now, the backdrop stunning and seeing that many fishermen out on the water having fun in one place makes you grateful they have somewhere to go, and are not wandering the streets wild eyed and gaunt, looking to throw a hook at anything fish-like that moves. This particular day we were blessed with one of the most superb days South Park will unveil this year I am sure. How many times do you venture over Trout Creek Pass and not find the wind blowing hard from about 11.00 am, with thunderheads looming all around? Not this day. As the video shows, the weather was perfect throughout. The fish were being cooperative also, and all around we were surrounded by happy fishermen floating on all manner of craft. From canoes and belly boats to high tech fizz boats, everyone was having a great time. Antero is generally not the place to go if you want to throw dry flies. The water supports a tremendous variety of insect life, and while there was the odd fish hitting the surface, it is the nymphs that were doing the damage. For us, damsel fly patterns worked the best. Getting there early is the key, before the wind kicks up. There is something about being on the water in the early morning that is very soothing. Normally at that time your hard drive is occupied with the work day ahead, getting the kids organized and fed etc, so it is great to sit and enjoy the change of pace as the sun comes up and the day warms. Things were pretty quiet for a bit, but right around 9.30 the alarm clocks went off under water, and the fish showed up for their days work with great enthusiasm. All in all, a wonderful day. A brief word about tail and belly hooking. It seems that ever since, a few weeks ago, I made disparaging remarks about someone’s propensity to hook fish anywhere but in the mouth, I have discovered the knack myself. So what can I say except: anyone can hook a fish in the mouth, it takes extra timing and finesse to get them in the side, and it is a good way to make an 18 inch fish feel like a 24 incher. Note: In order to experience the full audio – visual experience of these posts, it is recommended to follow the links where indicated. Of all the things I love about fly fishing, one is the timely reminders you get about your true place in the universe. We like to think of ourselves as masters of our domain, so it can be a reality check to get outsmarted from time to time by a creature with no powers of reasoning and a brain the size of a pea. Such was the case last week with my journey to the Conejos. My fragile ego can only take so much of a battering, so I decided to head somewhere where I felt the odds might be a little more in my favor. Small stream fishing is a lot of fun. The narrow confines of the stream bed, often with overhanging vegetation and debris, can make for some tight, technical casting. The fish avail themselves of any piece of water offering shelter from current and predator. They dart out, hitting their prey with remarkable speed, and scurry back to their lair often in the blink of an eye. It is easy to gain a tremendous respect for these little guys, particularly their ability to survive and thrive in such a harsh environment. Winters are longer at this altitude, spring run off reduces the amount of habitable river dramatically, and the summer growing season is short. This combination of factors definitely increases the fishing fun factor. The fish generally find it hard to resist a well drifted fly, as they need to get as many square meals into a day as they can. Given the increased chance of tangling a fly or line on undergrowth, overgrowth and snags, I’ll usually fish a single dry fly – which is how they fish in heaven anyway, so I figure it’s good practice 😉 . Fly fishing in New Zealand, where I was born and raised, it is too easy to get fixated on the size of the fish you catch. Sometimes you will get an eighteen inch fish on your line and get annoyed because you were trying to hook the big one next to it. Accordingly, if you are not careful, the success of your day can be measured against how big the fish was you caught. While many women may well smirk at this male obsession with size, there is nothing like a small stream to teach you that it is not the size of the fish that defines your manhood, but how much fun you have catching it that really sets the men apart from the boys. And so a fun couple of hours was had. Honor was restored. For each fish I landed, at least a couple were too fast and wary for me. While the Arkansas River is too high yet to fish effectively, I’m pretty sure I’ll be heading to a couple more small, high mountain streams in the near future, there to remind myself that it is not the size or number of the catch that matters, but the privilege of being there in the first place. What is it about having your advances spurned that can keep a guy coming back for more? You knock on the door, and instead of being greeted with a warm hearth and warmer bosom, you get a quick slap in the face and the door slammed shut on your hopes and aspirations. But somehow, that glimpse of fire in her eyes and ankle under the skirt keeps you coming back for more. So it is with the Conejos River. 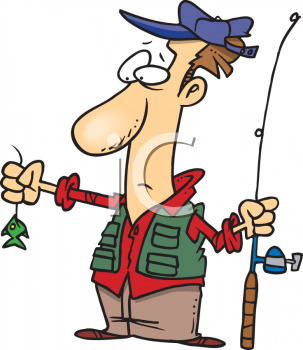 Those who fish it regularly often shake their heads in exasperation and bemusement. Those of us who venture down there a time or two a year have glimpsed her bounty sufficiently to endure the slings and arrows of random rejection, dust ourselves off, square our shoulders and knock on the door one more time. Any trip to the Conejos should start with a visit to Jon Harp at Conejos River Anglers. Not only is he a fine, upstanding chap, but if anyone knows anything about what is happening on the river, he’s the man. Right now, the Conejos is still running a little high for comfortable wading. To offset that however, is the bug activity. As we speak, the big salmonflies are hatching, there is an abundance of caddis, and for those lucky enough to unlock the combination, bountiful fruits await. As evidenced by the video, on this particular trip, I was greeted with a warm smile, a glimpse of flesh, and then just when I thought I had gained entry to the inner sanctum, a boot up the backside and unceremoniously sent home with my tail between my legs. Sigh. I’ll be back. Apart from the challenge and quality of the fishing, the thing I really like about this river is its variety and breathtaking scenery. I wrote last fall about a trip to its upper reaches, with the trees bare of leaves and ice along the shaded portions of the banks. Right now, those trees are in full neon green bloom, the peaks have the last vestiges of winter’s snow on their flanks, and the river is alive and flowing with strength and purpose. The Conejos is a river that can demand a long hike down into and out of steep sided gorges, tight casting along overgrown banks into fast moving pocket water, and reward the hopeful suitor with the real prospect of hooking into a twenty inch plus wild brown. Or with a long day of tight casting, standing and moving against strong current, and unanswered drifts. Obviously don’t bother asking me about how the catch these fish. I do know that a little NZ style stalking, long casts and good presentation won’t go amiss. And that’s how it should be, and thats why we have cold beer and margaritas to drown our sorrows, rebuild the ego, and come back prepared to tilt the lance at the windmill once more. There are two floats that a fisherman looks forward to the most throughout the year. The first is the inaugural spring float, that rite of passage as we emerge from winter’s long dark tunnel to the burgeoning dawn of the new day. The second is the first float after runoff. The river is still high, but dropping and clearing, and the fish haven’t had much to do for the last month or so except hunker down, spit grit out their gills and get hungry. While kayakers and rafters may be lamenting the decreasing flows, we fishermen are pretty excited. Not only are the fish hungry thanks to their enforced Ramadan or Lent, but the higher flows force them to seek shelter along the banks out of the main current, where they lie stacked like cordwood. Add to this the fact that June is the time of the year when the stoneflies hatch, and you have a pretty good combination. Runoff came early this year. 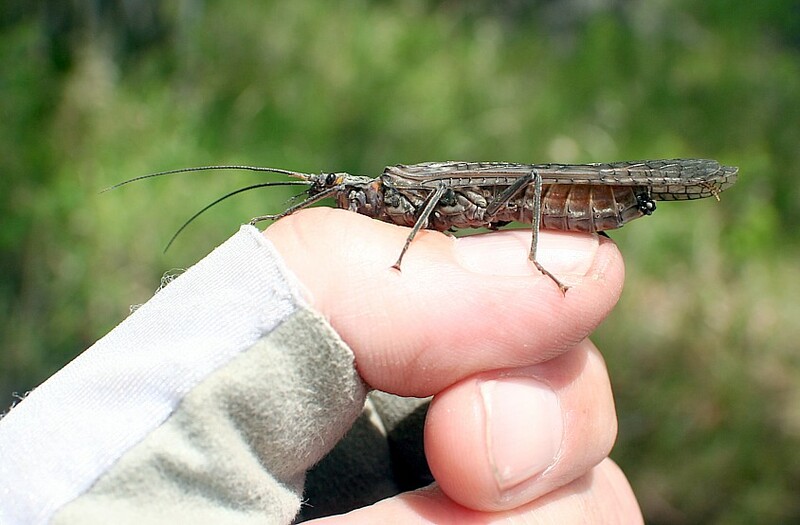 Normally the river doesn’t peak till around mid – late June, so we don’t often get to fish the stonefly hatch. Not so this year. The great thing about stoneflies is that they are generally big and ungainly. For fish persevering on a diet of small mayflies and caddis flies, a stonefly is like a cheeseburger or wings after several months of tofu slivers and brown rice. For the fisher person, it is the chance to ditch the 5x and 6x and size 18 patterns for 3x and size 10s. Stoneflies are the predators of the nymph world. No grazing on vegetables for these guys. They grow to pretty impressive sizes, and feed on other nymphs for up to three years before crawling from the river onto rocks along the banks of the river, usually at night, to shed their skins, fly away and procreate. The Arkansas River has two main types of stones – golden and yellow sallies. While not as large as a salmonfly, the goldens in particular can grow to a pretty respectable size, providing a good shot of protein for a hungry fish. As you can see from the video, the river is still pretty high and fast, which makes wading a bit of a sketchy proposition. I would not recommend setting foot in the water at this level, but rather fishing carefully up the banks, keeping your feet dry. As all the fish are stacked along the banks anyway, there’s no need to wade out into the stream – they’re all right there under your nose. As for float fishing, things happen pretty fast – a drift of five seconds duration is good. Hence the importance of getting the fly on the bank and right in front of the fish. We fished single dry flies all afternoon, and it didn’t seem to matter too much what size or color. Stimulators, pmxs and yellow foam flies all worked well, both big and small. As the river continues to drop and settle, the fishing will only get better. While the caddis hatch is fun, for me this is the best time of the year to fish. No more snow storms, measuring the water temperature and trying to decipher the feeding patterns, now it’s fishing for the attention deficit. Just tie on a piece of 3x, stick on something big, hairy and dry, and throw it out there. For more up to the minute fishing conditions, click here.